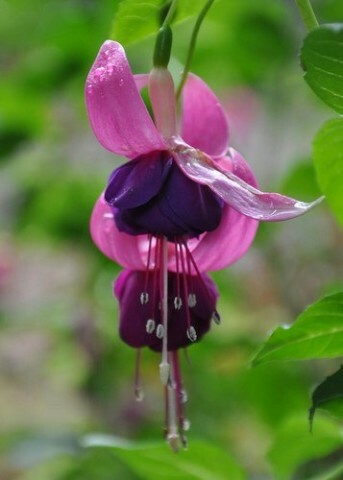 Be prepared to be enchanted by the genus Fuchsia. These showstoppers of the fall garden range in form from large shrubs to low groundcovers. Since these perennials begin blooming as early as May and continue blooming until frost, they are still in their full glory as many other perennials have started to fade. 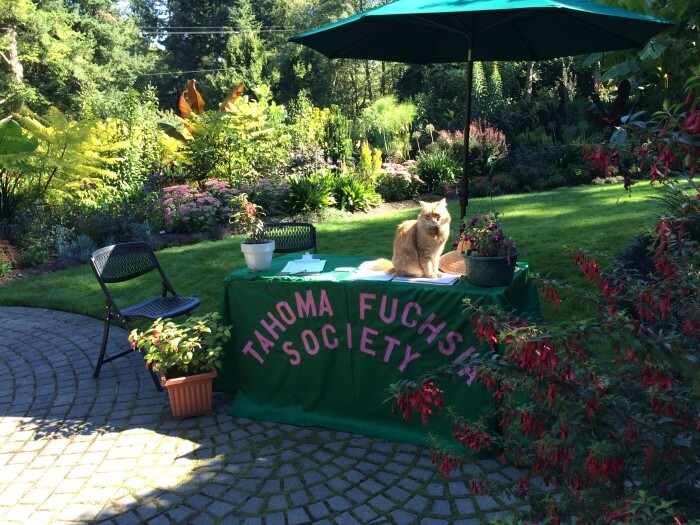 Fuchsia Days is a celebration of these outstanding plants and their many uses in the Northwest garden. Sixty-plus hardy fuchsias will be on display at PowellsWood Garden Wednesday September 13th through Saturday September 16th. Labelled cut stems will also be on display in the Garden Room for the enjoyment of those unable to walk throughout the garden. A selection of hardy fuchsias will also be available for sale as supplies last. 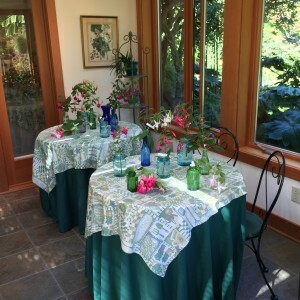 In addition to cut flower displays, Fuchsia Days also includes resources for the home gardener, including information on designing with fuchsias, fuchsia care and planting, and where to purchase fuchsias locally. 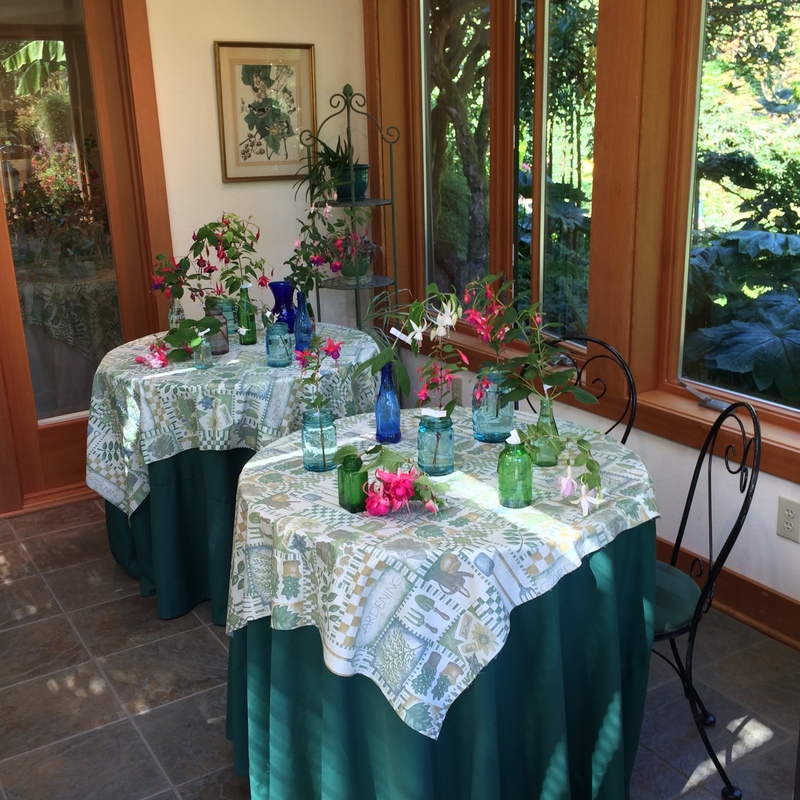 PowellsWood Garden will be open during Fuchsia Days from 10:00 am to 3:00. Normal admissions rates apply. Click here for more info about Garden Membership. 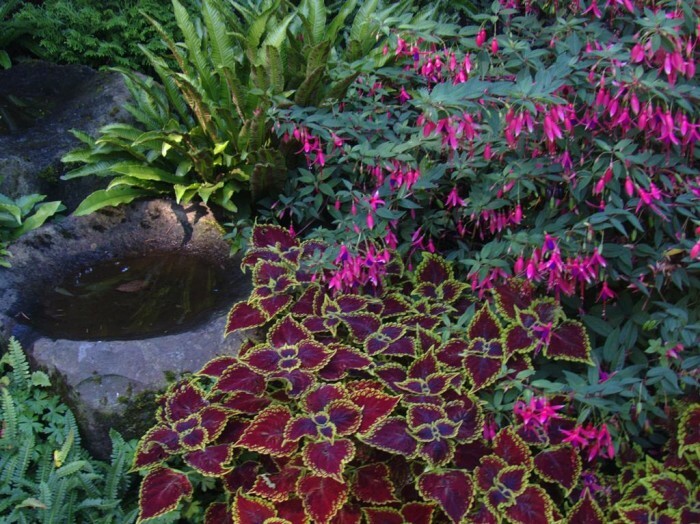 Click here for our Fuchsias 101 series of articles. I’ll be there Wed afternoon. See y’all.